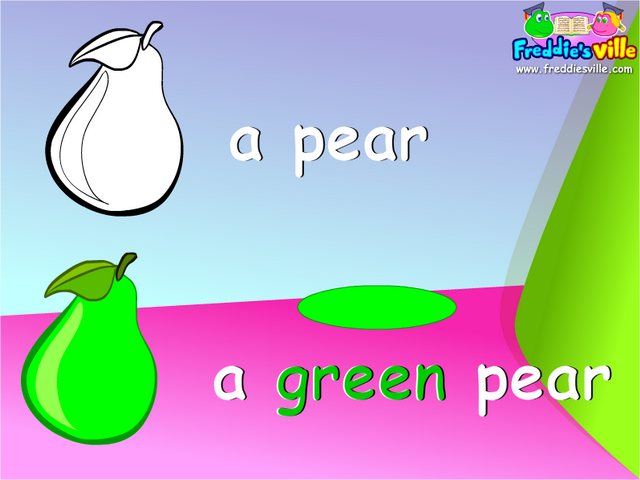 Grammar: This lesson on color will focus on expressing color preferences using adjectives of color. An adjective describes a noun - therefore colors are adjectives used to describe things (a yellow banana - What's yellow? A banana. The lesson also teaches learners how to use the verb 'to like' in the 3rd-person singular.